MERCEDES-BENZ'S wild F1 car for the road has hit the test track in England. Until now, the Project One hypercar has been tested in a lab on a dyno. But the car, which is powered by the same engine as Lewis Hamilton's F1 ride, has now graduated to the dynamic stage of the development process - moving from the engineering bay to the track at the F1 team's engine facility in Brixworth, England. The Project One hypercar is the first of the maker's road cars to use its F1 hybrid engine technology. The high-performance plug-in hybrid powertrain consists of an integrated turbocharged petrol powered engine and four electric motors. The 1.6-litre V6 hybrid petrol engine comes directly from Mercedes-AMG's F1 racing car and features an electric motor that powers the turbocharger exclusively. The combination of petrol-electric engines produce in excess of 740kW. 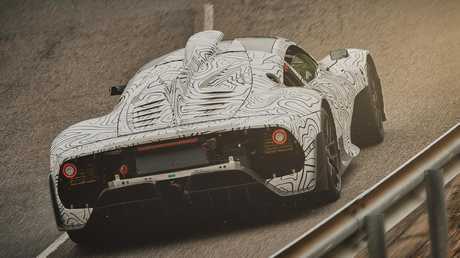 The Project One has a rear wheel drive bias with the F1-style petrol-electric hybrid unit (+500kW) powering the back tyres and a pair of electric motors (240kW) powering the front wheels. Mercedes-AMG Project One sends the majority of its power to the rear wheels. Mercedes-Benz believes it can sprint from 0-200km/h in less than six seconds on the way to a top speed of more than 350km/h. 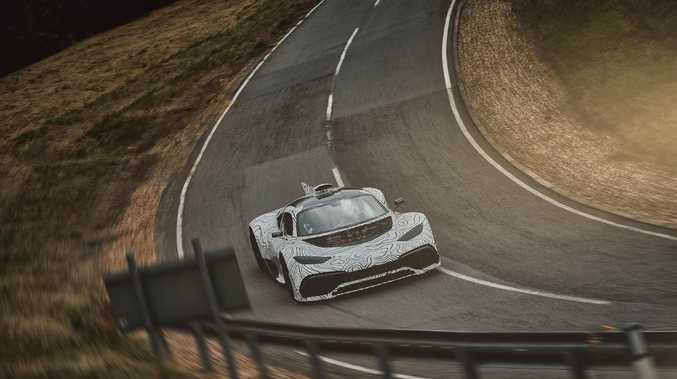 That kind of performance would mean the Project One is one of the fastest road going machines in the world. For reference the Bugatti Chiron can blast to 200km/h in 6.1 seconds.